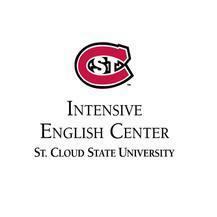 The Intensive English Center (IEC) at St. Cloud State University (SCSU) is a medium-sized intensive English program, with a focus on academic English skills and American culture. The program prepares students linguistically and culturally for study at St. Cloud State University. The IEC offer 23 hours of English language instruction per week. It also have many cultural excursions that give students the opportunity to practice their English and to learn more about the state of Minnesota and the United States. Our students come from Africa, Asia, Europe, the Middle East, and South & Latin America. Students who meet the English proficiency requirements for undergraduate or graduate admission to St. Cloud State University, such as graduating from the IEC, have access to over 200 degree programs to choose from. St. Cloud State University is also a diverse campus, with about 1,000 international students from over 80 countries. The 100-acre campus is between downtown St. Cloud and the Beaver Islands, a group of more than 30 islands that form a natural maze for a two-mile stretch of the Mississippi River. The St. Cloud metropolitan area is 24th on Forbes magazine's “Best Small Places for Businesses and Careers." St. Cloud State is ranked in Forbes magazine's "America's Top Colleges" and Money magazine's "Money's Best Colleges." We offer six levels in 2014-2015, from low beginning (pre-Level 1) to advanced (Level 5). No TOEFL score is required to be admitted to the program, but to benefit from the program's lowest level, applicants should be able to read and write in English at a basic level. Students attending the IEC can expect 2-3 hours of homework per day. Classes run from 9-12 and 1-3 or 4 in the afternoon, depending on the level. Students can participate in occasional weekend outings or become aware of local opportunities via email. While students are not required to attend, these outings often provide helpful insights into American culture.